Great value in Sunset Ridge. This home offers 3 bedrooms, 3 full baths, a sunroom, and an expanded footprint from the standard plan (oversized garage, bonus room/bedroom and Master) for a total of 8 rooms. The home is full of upgrades and add-ons including: a low maintenance one-piece fiberglass in-ground pool with privacy and safety fencing around the back yard, trey ceilings in the Master and Dining Room, plantation shutters throughout the home, epoxy floor in the oversized garage, and hardwood floors in main living area and all three bedrooms! 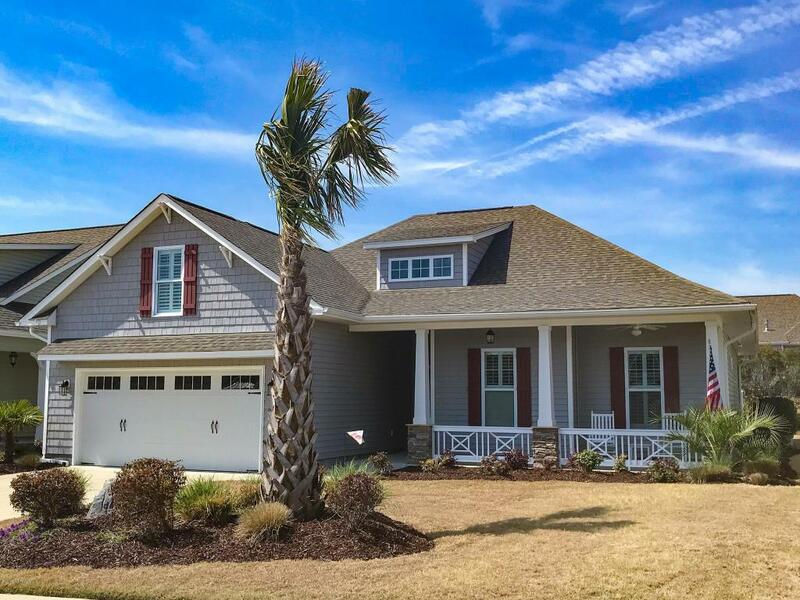 You're just minutes from essential shopping and restaurants, more than a dozen public golf courses and both Ocean Isle and Sunset beaches. Lawn care, shrub care and mulching is included in the HOA so sit back and relax! Listing provided courtesy of Kimberly Lank of Silver Coast Properties.